Mordrem alert! Mordrem alert! On Sept. 10, at 9 a.m. Pacific Time (-7:00 UTC), Mordremoth will be lashing out at the heroes of Tyria by sending its minions to attack areas in Brisban Wildlands, Kessex Hills, and Diessa Plateau. Because, you know, after Living World season 2, Dry Top, and the Silverwastes, we definitely have not gotten tired of mordrem yet. Loading screen concept art for the Brisban Wildlands map. 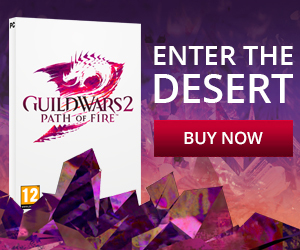 In all seriousness, though, I do find it very impressive that ArenaNet has found the time to put something like this together. 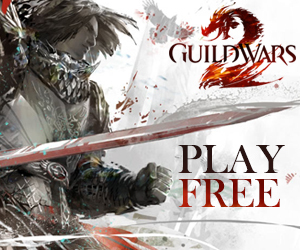 What with working on Guild Wars 2: Heart of Thorns, travelling to the edge of the earth and back for a plethora of conventions, and writing up dozens of blog and forum posts, I honestly believed most of their resources were stretched thin. However, if we consider the influx of new players with the recently announced play-for-free content, a developer-supported community event like this is just what the game needs. Loading screen art for the Kessex Hills map. Furthermore, the blog post announcing this event heavily stressed that players find a guild to participate with, leading me to believe that there might be a bit more complexity to the gameplay than just “here are things, kill them.” Brisban Wildlands, Kessex Hills and Diessa Plateau are all full of defensible and fortifiable camps, outposts, and forts, and it would be fantastic if this event actually utilized those locations in a similar way to how the forts in the Silverwastes currently work. Consequentially, the team here at GuildMag will be doing a livestream of the event on Saturday, Sept. 12 on the GuildMag Twitch channel, so stay tuned!